Honeywell's Mobility Edge | Taylor Data Systems, Inc. EXTEND THE LIFECYLE OF YOUR MOBILE DEVICES. That’s the power behind Honeywell’s Mobility Edge™ platform. When you make the switch to a Honeywell mobile computing device with the power of the Mobility Edge platform, you gain a number of benefits that expand the power of performance for your users and your organization. More and more mobile devices operate on an Android OS, and with the volume of Android devices on the market today, it’s critical to keep up with regular updates in order to keep your devices safe and secure. In your industry, mobile devices aren’t used for just a year or two, they are in the field for several years and often pulled when support and spare parts are no longer available. That’s why Honeywell worked with Google to currently provide support for Honeywell’s Mobility Edge products out to Android generation R. This means that the device you purchase today can be used with confidence for many years to come – which is much easier and safer for your device and network than general patch updates. 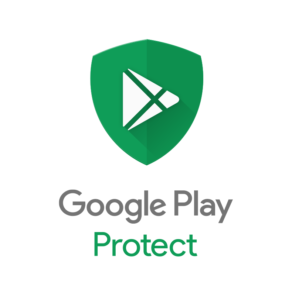 Google Play Protect keeps your devices, apps and data safe by continuously scanning the device, automatically, to make sure you have the latest mobile security. 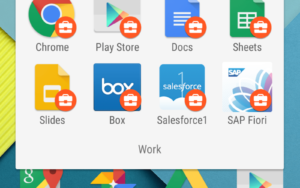 Allows you to select, purchase, and manage apps for your organization. You can create lists of approved apps and manage updates for increased safety and control. All Honeywell Mobility Edge devices are backed by Android Enterprise Recommended, a program which helps businesses select the right devices to meet their needs. This means Honeywell’s mobile computers meet strict technical specs and extended lifecycle support requirements. Learn more about it here. Yes! Tell me more about Mobility Edge and how it can benefit my business.